Santa makes his appearance all over Columbus for the holiday season, so get out your festive clothing for Santa Pictures! This list isn’t anywhere near all-inclusive, as he’s hard to keep track of, but here are some options for photos with Santa around Columbus. Don’t miss the section at the bottom for pet photos with Santa! 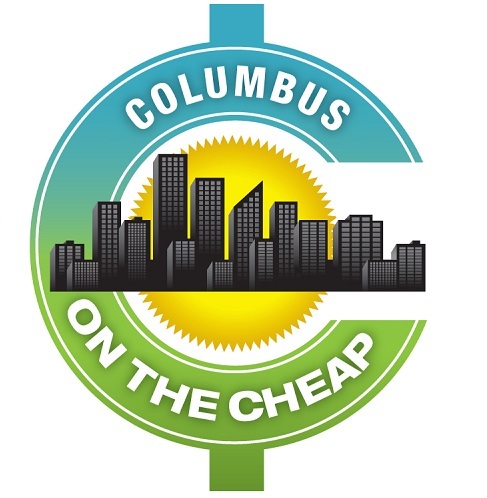 Please leave a comment or email info@columbusonthecheap.com if you know of other photo opportunities. Be sure to check out the pages with Holiday Events around Columbus and Cookies and Breakfast with Santa around Columbus. Dining with Santa events typically offer opportunities for photos with Santa, including candid and posed photos. Wildlights at the Columbus Zoo and Aquarium: November 15 – December 23, 2018. Sunday-Thursday: 5:00PM-9:00PM Friday-Saturday: 5:00PM-10:00PM. In Battelle Ice Bear Outpost (through Dec. 23) kids can take a photo with Santa and Mrs. Claus. One commenter complained about getting a bad picture (eyes shut), and it cost $15-$20. Photos with Santa at Easton: November 16 – December 24, 2018. Your first 5×7 is just $5, or take a candid pic with your own camera for FREE. Monday-Saturdays: 10:00 AM – 9:00 PM (Breaks: 1:00 PM-1:45 PM and 4:45 PM-5:30 PM) and Sundays: 11:00 AM-7:00 PM (Break: 3:00 PM-4:00 PM). Christmas Eve: 9 AM – 5 PM. Virtual line so you don’t have to stand and wait. Oakland Nursery: Saturdays & Sundays only, November 25 – December 17, 2018 from noon to 3:30 p.m. at all Oakland Nursery locations. Take pictures with your own camera. Well-behaved, leashed pets are welcome at the Dublin location. Each store has different holiday events through the season. Christmas Ranch in Morrow, Ohio: Friday, November 16 through December 22, 2018. Photos with Santa from 5-9 pm through December 23 (closed on Thanksgiving). Admission is $20 per car; it is a walk-through attraction with lots of holiday fun. Photos start at $20. Monday night is family night with 50% off admission for families of 3 or more. Polaris Mall: Santa arrives on Saturday, November 10, 2018 through the season. Very real looking Santa. No personal photos allowed, but visits with Santa are free without photo. Packages start at $24.99 for a 5×7, 3×5, and 2 wallets – along with 3 personalized phone calls with Santa. ake reservations to skip the general line with Santa’s Fast Pass. Click here for details. Sensitive Santa at Polaris Mall: Sunday, December 2, 2018 from 9 a.m.-11 a.m. and Sunday, December 9, 2018 from 9 a.m.-11 a.m. Sensitive Santa is an opportunity for families that have children with autism, children on the autism spectrum and children with other special needs to enjoy a special visit with Santa. Lower lighting and quieter. No reservations needed. Event is free and photo package prices vary. Paws & Claus Pet Photos with Santa: Sunday, November 25, 2018, and Sunday, December 16, 2018 from 6 pm – 8 pm. Bring your WHOLE family and visit Santa Sunday, December 16th after the mall closes. Enjoy doggie games, treats, crafts and more. Visits are free, but photo package prices vary. Tuttle Mall: November 9 through December 24, 2018. Sundays are 11 am – 6 pm, Monday – Fridays hours are 11 am – 8 pm, Saturday hours are 10 am – 8 pm (hours are extended in December). Very real looking Santa. No personal photos without minimum package purchase. Multiple packages are available, starting at $24.99. You can schedule your appointment online to skip the line. Scheduling requires a $10 non-refundable deposit, which will be applied to your photo package. Pet Photos with Santa at Tuttle Mall: Sunday, November 13, 2018 from 6-8 pm. Dogs and cats are only permitted in the mall during Pet Photo Nights (with the exception of assistance dogs). The set is located near Macy’s Hayden Run in front of Hallmark. Guests are asked to use the Food Court entrance. Caring Santa at Tuttle Mall: Sunday, December 2, 2018 from 7am-9am. Caring Santa provides a subdued and welcoming environment for children with special needs and their families to visit Santa. They’ll have sensory bins, activities, and refreshments too. Sparkle Night at The Shops at Worthington Place: Saturday, November 17 from 6-8 pm. Fun, music, and celebration with the Tree Lighting at 6:30pm. Kids can visit and have photos taken with Santa, and there will be face painting, a balloon artist, and music. Photos with Santa at The Shops at Worthington Place: November 23 – December 24, 2018 Hours vary, see here. For more information, email drbgroupllc@drbgroupllc.com. The following events are themed nights with Santa. Pet Photos with Santa: Monday, November 26 from 5 – 8 pm. Regular photo package prices apply (but aren’t listed). Domestic animals only. Pet owners are responsible for their pet’s safety and the safety of others. All pets MUST be on a leash or contained in a cage. Santa Photos Grandparents Day: Thursday, November 29 from 4-8 pm. Grandparents are invited to join their Grandchildren in Santa’s winter wonderland for their Christmas photo memory. All participants who visit and partake during this special time will receive a 15% off coupon to use in their online store. Santa Photos PJ Day: Friday, November 30 from 12 – 8 pm. Any participant dressed in their pajamas will receive a 15% off coupon to use at the online store. Santa arrives at Cabela’s on November 10, 2018 at 5 pm! Enjoy the magical tree lighting, unveiling of Santa’s Wonderland®, FREE cookies and McSteven’s® hot chocolate*, and decorate a stocking. Santa will be giving away a $25 Bass Pro Shops® Gift Card to 1 lucky winner every half hour! 5:30–7PM. Santa Photos at Cabela’s: Santa will be available for free photos from November 10 – December 24; hours vary based on day. There are free crafts everyday, free plush for the first 100 kids on Mon-Thurs from 5-7 pm, and you can write a letter to Santa and receive an email from Santa. A 4×6 studio quality photo with Santa is free (package options are available), and the set and Santa are authentic and festive! Lowes stores: Dates vary, so contact your local store. (pets may be welcome; varies per store). Sawmill location had a nice setup with Santa and Mrs. Claus last year. Take your own photos. Santa’s Village in Marysville on Thursdays, November 26-December 20 (5-7 pm), and Saturdays, December 1-22 excluding Dec 1 & 8 (10 am-12 pm) at Partners Park in Marysville. Free coloring and crafts are available during the hours. Bring your camera! Donuts and pictures with Santa Claus at The Houston House: December 1 from 11:30am – 1:30pm. Visit with Santa at the Marysville Art League Houston House (246 West Fifth Street) and enjoy crafts, donuts and chocolate milk starting at 10:30 a.m. Sensitive Santa at the Marysville Public Library: December 12 & 13, 2018 from 5:00 – 8:00 PM (Appointment Only). Sensitive Santa is a private event designed for children and young adults with special needs and their families to have an opportunity to visit with and have their photo taken with Santa. Marysville Public Library is making necessary adjustments to support the sensory, physical, and other developmental needs of children of all abilities for this special event. Reservations will be taken in 10-minute intervals. Appointments can be made by calling 937-642-1876. Santa’s House in Delaware: Fridays and Saturdays, December 1 through December 21, 2018 at the Strand Theatre. Fridays from 6 – 8 p.m., Saturdays from 1 – 3 p.m. Friday hours feature Horse-drawn carriage rides. Visits with Santa and Mrs. Claus are free, and you can take your own photo. Professional photography will be available as well; rates will be announced. Children will receive a treat from Santa to enjoy. Santa’s House during Fantasy of Lights at Alum Creek: Each night through December 23 during the drive through light show at Butch Bando’s Holiday Fantasy of Lights (admission per vehicle required). Take your own photos for $5, or pay $5 to have one taken and emailed, or $10 to have a 4×6 printed before you leave. The Magical Santa Experience with Darryl Walters Photography: Appointments available Saturday, November 17, 2018 From the website: “Santa focuses on your children, interacting with them so we can capture magical images that will last a lifetime. We do not pose your child, the magic just happens as they interact with Santa one-on-one. Setting is a rustic log cabin set with Christmas tree and many decorations and of course Santa Claus! Clothing suggestions include winter casual wear or holiday pajama Cost is $75 for $10 minutes and 1 high resolution digital image file download with printing rights. Prints and files available via online gallery. See examples from 2017 on the website. Swim with Santa at Westerville Community Center: Sunday, November 25, 2018 from 6-7:15 pm. Get your photo taken with Santa as he swims in the pool with the lifeguard elves! Photo and Santa time is included in this fun annual event for ages 0-11 and parents. Parents with children under 6 years old must be in the water with their children. Please include your email address when registering, all photos will be emailed. Pre-registration required. $7.50 to swim, $5 for residents. Santa at the Lazarus department store in Downtown Columbus: Saturday, December 2, 2018 from 2-5 pm. Take photos with Santa in the original sleigh from the former Lazarus building, do crafts with OSU Urban Arts Space, complimentary refreshments, and free carousel rides in Columbus Commons from 11 am – 6 pm. Holiday lights come on in the park at 5 pm. Holiday Party at Worthington Community Center: Friday, December 7, 2018 from 6:30 – 8:30 pm at Worthington Community Center. Party at the North Pole for the Annual Holiday Party with family friendly DJ, crafts, games and a visit from Santa. Ohio Herb Education Center in Gahanna (110 Mill St.): December 8 and 15, 2018 from 9 a.m. – 2 p.m. Pictures, shopping, and homemade gift-making. Cost: $5 per craft/photo or 3 items for $12. For more information contact 614-342-4250. Photos with Santa and Mrs. Claus at Holly Spann State Farm Agency: December 8 from 9 am – noon. Bring your family, children or pet for complimentary pictures with Mr. and Mrs. Claus! Join us to get the perfect photo for the holiday season. Guests will also enjoy complimentary hot chocolate and Christmas cookies. This event is free and open to the public. For more information contact Tessa Short at tessa@hollyspann.com or 614-882-3276. Santa Celebration at Hilltop Library: Join the Columbus Metropolitan Library Hilltop Branch for a Santa Celebration on Saturday, December 8, 2018 from 3-4 pm. Join us for stories and fun celebrating the world’s jolliest elf. After the program, stick around for free pictures with Santa! Santa in the Caboose: Sunday, December 9, 2018 from 3-7 pm. Get your photo taken with 1800s Santa in red caboose, free hot chocolate and doughnuts, wagon rides, petting zoo, tours of the historic village, live entertainment and more at Historical Village at Weaver Park. Photos with Santa at Uptown Westerville Family Fun Day: Saturday, December 15, 2018 from 1- 3 p.m. Stop in at Pearlescent Photo during Uptown Westerville Family Fun Day to get your photo taken with Santa. Prepay photos are only $4. Pay at the door $5. Each additional print of the same photo is only $4, so Grandma and Grandpa can have one too! Hot chocolate and cookies for the kids. Oakland Nursery Dublin: November 24 – December 16 from noon to 3:30 p.m. on Saturdays & Sundays. Take pictures with your own camera. Well-behaved, leashed pets are welcome at the Dublin location. Polaris Fashion Place Paws & Claus Pet Photos with Santa: Sunday, November 25, 2018, and Sunday, December 16, 2018 from 6 pm – 8 pm. Bring your WHOLE family and visit Santa Sunday, December 16th after the mall closes. Enjoy doggie games, treats, crafts and more. Visits are free, but photo package prices vary. PetSmart Santa Pictures: Santa is coming to town & our stores December 8-9 and December 15-16 from 12-4pm for a FREE photo op! Picture an Old-Fashioned Christmas at Hanby House: Saturday, November 17, 2018 from noon-4:30 pm (No Santa, just holiday photos) Create a holiday keepsake by having your family photo taken in the decorated parlor of Hanby House, the family home of Benjamin Hanby, who later wrote the holiday favorite Up on the Housetop. Wear your own holiday finery or use available Civil War period costumes. Sitting fee of $30/group (up to eight people) ($27/Ohio History Connection member group of up to eight people). Photos are saved to a souvenir flash drive included in the price. Photos can be made into greeting cards or framed photos. Reservations are recommended; walk-ins will be accommodated. Make reservations at 614.891.6289 or 800.600.6843 or by email at hanbyhouse@yahoo.com.